Continuing our celebration of Superman’s 75th year by looking at the more monumental Superman tales of the Bronze Age, we take a look at one of the projects that were part of Superman’s 40th anniversary. This Superman Spectacular featured the longest, at the time, single issue Superman tale. As such, I recruited a bit of help for the next 3 episodes in the form of Jon Wilson, host of Golden Age Superman and co-host of the New 52 Adventures of Superman with J David Weter. 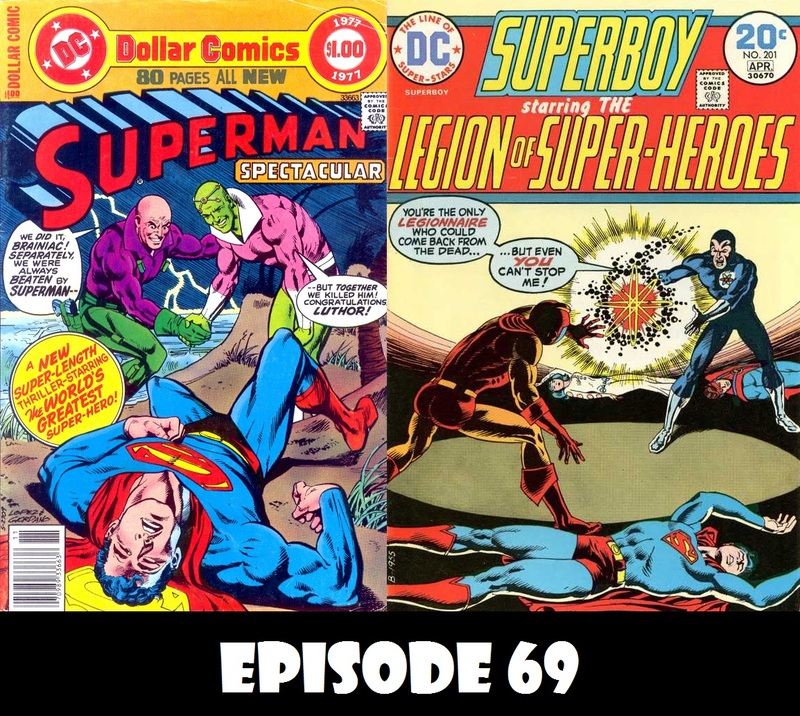 Speaking of Dave, he presents a tale of Superboy and the Legion of Superheroes that features the return of a legionaire that was thought to be dead!